NATO defense ministers meeting in Brussels Wednesday and Thursday agreed to the enlargement of the organization’s Response Force to 40,000 troops from the current level of 13,000. On Tuesday, ahead of the meeting, US Defense Secretary Ashton Carter announced the positioning of hundreds of American tanks, military vehicles and heavy artillery pieces in the Baltic States as well as Poland, Romania and Bulgaria. 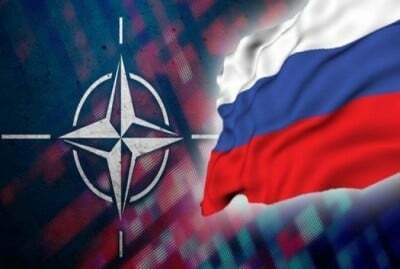 This buildup of troops and military equipment is part of a long-term reorientation of NATO directed against Russia. There is only one conclusion the Kremlin can draw from such threatening and aggressive measures: Washington and its European allies are preparing to go to war against Russia. Moscow is undoubtedly preparing accordingly. The international working class should take this statement as a dire warning. If the post-World War II period of peace is over, the build-up to World War III has begun. At the opening of the Brussels meeting on Wednesday, NATO Secretary General Jens Stoltenberg disingenuously declared that NATO was not seeking “confrontation,” adding that “we do not want a new arms race.” He claimed the expanding deployment of NATO forces in Eastern Europe was purely a defensive response to Russian “aggression” in Ukraine. Stoltenberg called on alliance members to meet pledges made at the NATO summit in Wales last September to increase their defense budgets to two percent of gross domestic product (GDP). NATO released figures Monday indicating that the majority of member states are falling far short of the two percent threshold. The report stated that overall defense spending by NATO will fall by 1.5 percent in 2015 to $893 billion. The United States, Poland, Estonia, Great Britain and Greece are the only countries in the alliance that will meet the two percent goal. The expansion of the Response Force is one of numerous initiatives agreed to at the Brussels meeting. The defense ministers finalized plans to establish six new NATO command centers, to be located in Lativa, Lithuania, Estonia, Poland, Romania and Bulgaria. According to Stoltenberg, the new centers, each initially staffed by 40 people, will facilitate strategic planning, military exercises and the deployment of the newly formed 5,000-strong Very High Readiness Joint Task Force (VJTF). This rapid deployment force will be tasked with mobilizing against Russia within days, once it is called upon to do so. On Monday, US Defense Secretary Carter announced that Washington would contribute bombers, fighter jets, surveillance drones, Special Operations troops and other military resources to the VJTF. The defense ministers also agreed to grant the supreme allied commander of NATO forces in Europe, US General Phillip Breedlove, authority to deploy troops on much shorter notice in order to facilitate the operations of the VJTF. The Brussels meeting highlighted the mounting danger of the conflict with Russia escalating into a nuclear war. The assembled ministers held sideline discussions over NATO’s nuclear strategy in light of Russian President Vladimir Putin’s recently announced plan to add 40 intercontinental ballistic missiles to the country’s stockpile and US accusations that Moscow has violated the Intermediate Nuclear Forces (INF) Treaty. In testimony earlier this month, Robert Scher, the US assistant secretary of defense for strategy, plans and capabilities, Defense Secretary Carter’s key nuclear policy aide, told Congress that the Pentagon was considering a variety of options for responding to alleged violations of the INF treaty, including preemptive missile strikes against Russia. Lukasz Kulesa, research director for the European Leadership Network, told the Wall Street Journal that NATO should rein in its public rhetoric, but escalate behind-the-scenes maneuvers such as flying nuclear-capable B-52s over the Baltic states. “This is a way to signal back to Russia that the United States is also capable of delivering a nuclear blow,” Kulesa said. Last week, as part of the annual Sabre Strike military exercises, a US B-52 was flown over Latvia for the first time. It dropped dummy bombs in an air strike called in by Latvian soldiers. The strike was carried out in Adazi, less than 200 miles from the Russian border. US paratroopers taking part in the Sabre Strike exercises practiced seizing airfields in Lithuania and Poland.